Air-Conditioning (Automatic), Alarm, Alloy Wheels (18in), Computer (Driver Information System), Electric Windows (Front/Rear), Hill Holder, In Car Entertainment (Radio/CD/MP3), Tyre Pressure Control, Upholstery Cloth/Leather, Alloy Wheels - 18in M Star-Spoke Style 386M, Bluetooth Hands Free Facility With USB Audio Inter. 5 seats, ELECTRIC MEMORY SEATS + BLUETOOTH + ALCANTARA INTERIOR + CRUISE CONTROL + 18' ALLOY WHEELS + SUPPLIED WITH A BMW SERVICE PACK FROM NEW FOR 5 YEARS. 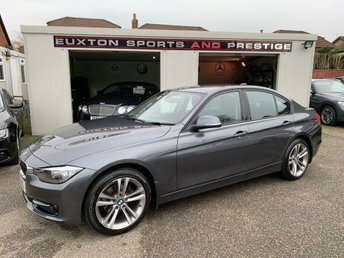 , ELECTRIC MEMORY SEATS + BLUETOOTH + ALCANTARA INTERIOR + CRUISE CONTROL + 18' ALLOY WHEELS + SUPPLIED WITH A BMW SERVICE PACK FROM NEW FOR 5 YEARS.